Sunday morning, I heard a message about harboring bitterness and how to not be bitter and how to forgive. The pastor mentioned this phrase that he tries to always keep before him. 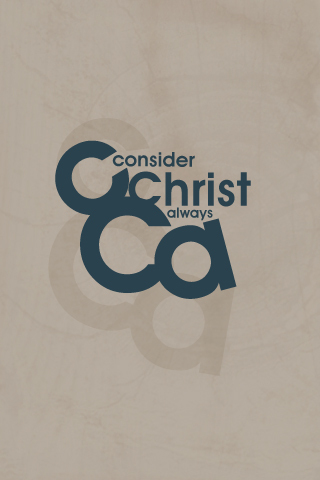 Consider Christ Always. 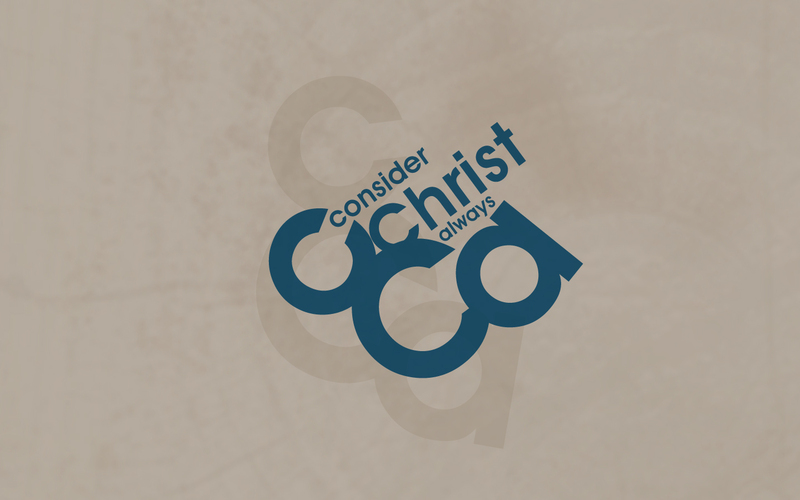 In everything Christ should be considered. In the context of bitterness and hurt, we are reminded of Christ’s suffering and how horribly our very nature wrongs and offends Him. Yet Christ still not only forgave us, but put His perfect and holy Son to death to purchase us back. How can I not forgive someone when I consider the forgiveness Christ gave me. 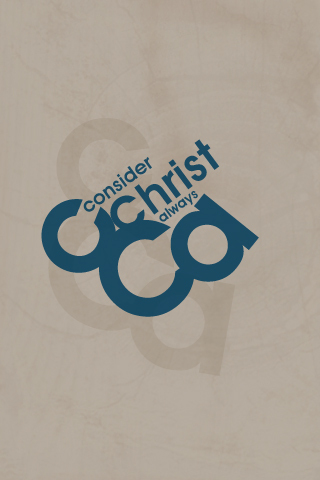 If I were to truly consider Christ always, my actions and life would prove to be quite different. I would be much kinder. I would be more helpful and work harder. I would honor Christ in every thing I did, not matter how little. The very core of the story of God and the story of our lives that He is writing, is Himself. Christ is the core. 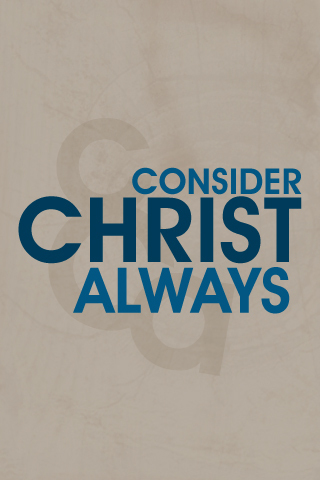 I must consider Christ always. In an attempt to remind myself of this truth all the more often and in an attempt to be creative, I made a few backgrounds for my iPod and one for my computer. 02/14/2011 | Filed under Design, Thoughts.